Tremendous duel of the two stars: 45 + 11 + 3 for Oklahoma and 42 + 2 for Houston. Ninth triple-double consecutive by Russell Westbrook. That the Denver Nuggets start looking more backward than forward because they already have the Thunder blowing on the back of their neck. The Oklahomans, with nine victories in the last ten games, are a spectacular moment and right now they seem the most reliable opponent to try to knock down the Warriors in a tie, if that can be done. The game in Houston he showed us that they are a staff full of resources and with great confidence in themselves. Because otherwise they could hardly have traced the 26 points with which they came to lose just before the break. The lap of the break was revitalizing for them and they got a 20-42 to the Rockets in the third quarter. first with a Westbrook who is playing one of the best basketballs of his career in many respects. Curiously when the worst is pulling. Last night he scored 21 points, with 38.1% accuracy in field goals and 20% in triples. Lost 10 balls, something out of the ordinary since this season has managed to reduce losses compared to the previous two. But the 12 rebounds and the 11 assists gave a new triple-double, the ninth in a row, matching the best historic streak that was in the hands of Wilt Chamberlain. And, unlike other years, Westbrook's statistics are not just that, statistics. This time they are translating to improve their team. Surely it is the best rebounding base in the league, has improved a lot in the creation of the game and his defense is being brutal. Next to him began to play Dennis Schroder (17 points) and, of course, Paul George. This was working throughout the match to finish with 45 points, 11 rebounds and 3 assists. His duel with Harden (42 points) was spectacular and lasted until the last seconds, when the Houston missed the triple to put his own ahead while trying to force the lack of defense. The star of the Rockets has been playing for a long time as the main alternative to the MVP for Giannis Antetokoumpo. His playing streak and scoring is being spectacular. 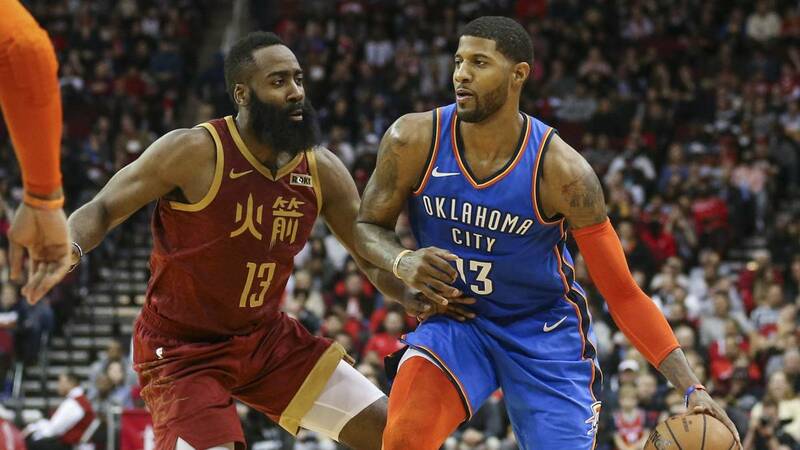 But if you talk about Harden for the award you should talk to Paul George at the same level, that it's not just that he's making the best year of his life, it's that you can argue with all of the law if he's being the best player in the game. year.